Now wait, hold it, ease up! For those of you who love op-shopping, I will let you in on a little secret that is better that buying Sheridan sheets from the Myer Christmas Sale. On two little streets (well, actually one long street - but we won't ruin a good story with facts!) there exists a wondrous land of op-shopping and bargains galore. And where is this fairyland of shopping? Why Fremantle of course. 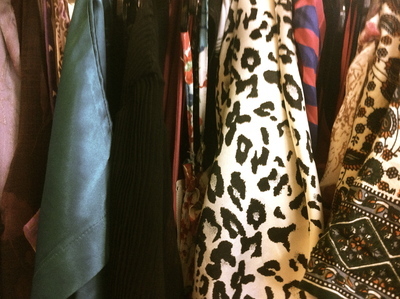 Within walking distance, in predominantly on section of High Street are four fantastic op-shops that are always filled with delicious wares. If you are an op-shopper and I know you are out there, these shops are gold. I personally have shopped at these stores for years and have grabbed some amazing items of clothing, from Calvin Klein jeans to vintage dresses. Situated near Myer in Fremantle there is Retro Vinnies, Good Samaritans, the Anglicare op-shop as well as the Salvo's Store on Josephson Street (which runs off this particular section of High Street) all within metres of each other. 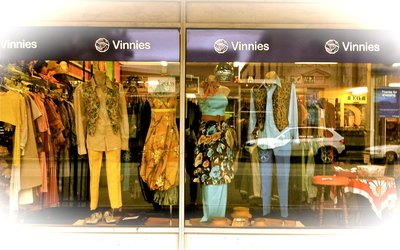 Retro Vinnies is a must for those looking for classic vintage pieces. 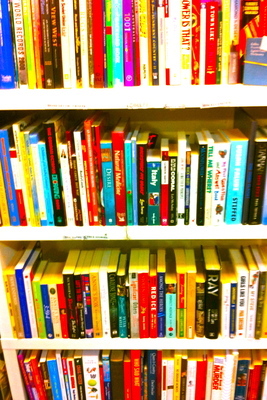 They are a little more expensive than your average Op-Shop, but the clothes, books and accessories are hand-picked and really fabulous. The Salvo's Stores has a vintage 'retro' section as well as well-priced clothing and homewards. It is the biggest and most well-stocked of all the shops on the strip. Definitely worth a look. The Anglicare Op Shop, has always been a favourite of mine, you can nearly always find something and they have some great furniture for those who have a good eye and are a little bit handy. The Good Sammy's has two shops, a clothing outlet as well as a bric-a-brac shop in the arcade off High Street. For those of you who love a bargain, this is the one-stop shop! There are also pretty of well-priced cafes and noodle-houses on High so why not make a day of it? Shop till you drop op-shoppers.